A very short road trip, with a great outcome! Dragon's Lair Fans - Arcade Lifestyle > General Chat > Arcade Lifestyle > A very short road trip, with a great outcome! As the title says, I've been on a very short road trip, but the outcome was great! I've picked up several classic cabinets just minutes from home! But first, let me take you to the beginning of this story. It actually started some years ago. 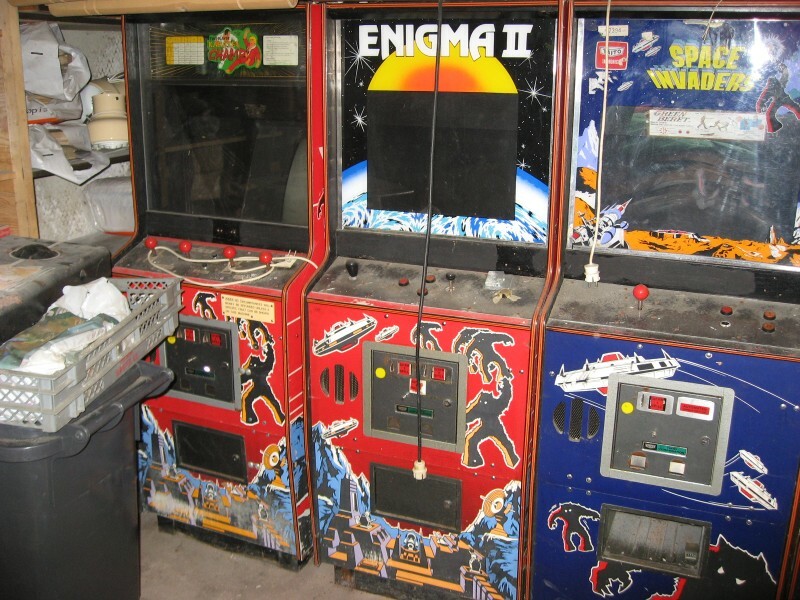 It was common knowledge in the pinball community in my town that an ex operator had some old arcade cabinets stored in his garage. 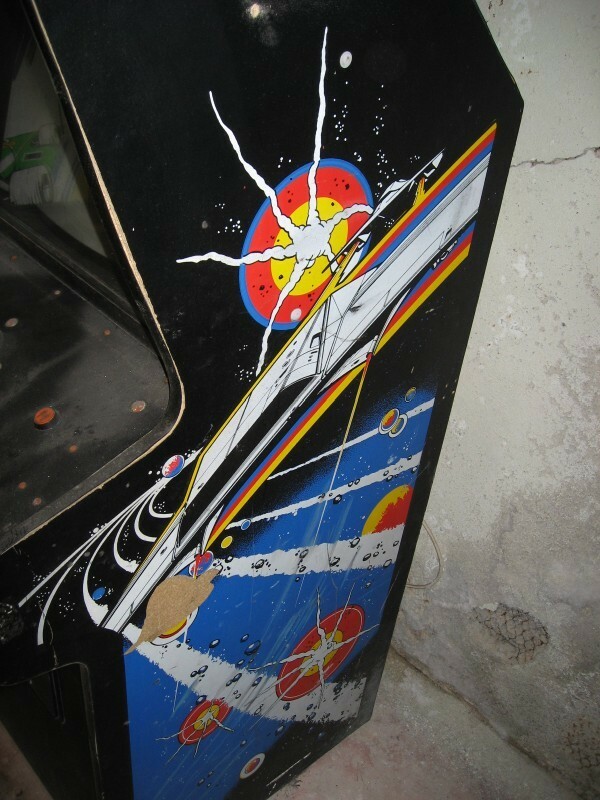 Luckily the pinball fans are just that: pinball fans. They were not very interested in these video games, and so the games stayed untouched for years. The location and the operator's name was even mentioned in public forums. 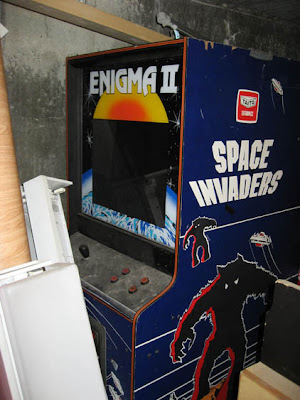 I heard that he had a lot of Space Invaders cabinets and maybe even a Robotron! I'm not exactly sure when this was, but it must be at least a couple of years ago. I called him and asked if I could look at the games. Sure I could! 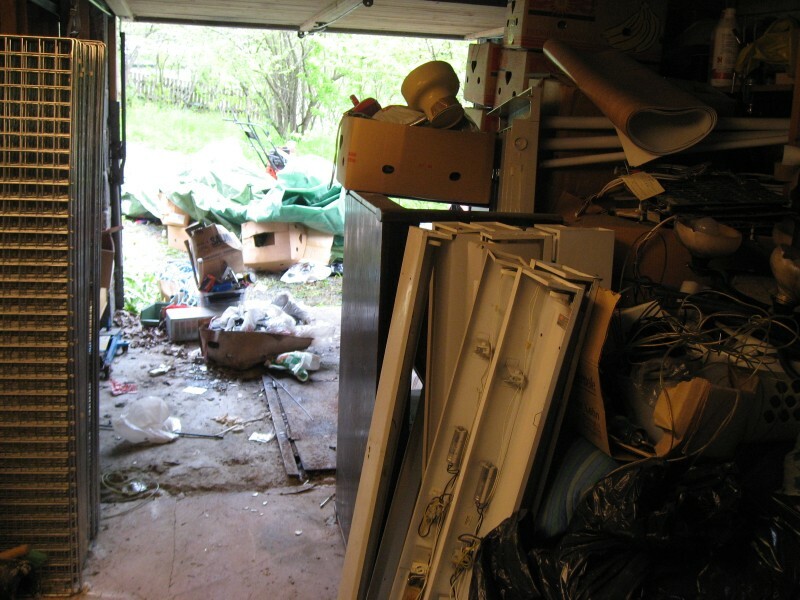 Getting into his garage wasn't an easy task, to be honest. After he put the games into the back he had filled up all the space from floor to ceiling, and I literally had to climb a lot of stuff to get to the games. But there they were! The op was nice, but not very eager to sell. Especially the Robotron. He said he saw they were quite expensive on the internet, and he wanted to restore it. If he were to sell it, it would not go cheap! I'm not sure what happened next. I thanked him for letting me look at his games, and told him I would contact him again. But I didn't. I don't think I can blame anything except myself. Maybe my interest for coinop went a bit cold for a couple of years, especially after I suffered a spinal injury. Still, the games stuck in the back of my mind, and I thought about them every time I passed his house. But it wasn't until December 2011 that I called the seller again. He confirmed that he still had the games, but as I was busy preparing for Christmas (and winter is not the best time to haul games in Norway), we agreed that I would call him again in some weeks. Again, I didn't call him again until May 2012! 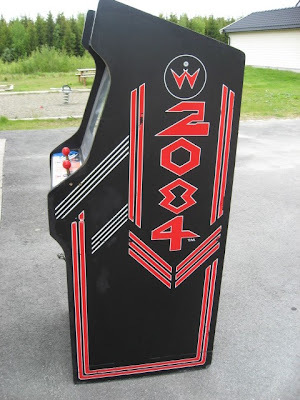 I can thank two members of the forum, Superully and Arch for re-sparking my sleeping interest in arcade games. I was back! When I visited the seller this time, his health had deteriorated. He had no illusion of restoring the cabinets anymore, and he was more willing to let go of them. I would say that my timing was good, but it was of course very sad that his health had worsened. Over the next couple of months, I visited him almost every week. 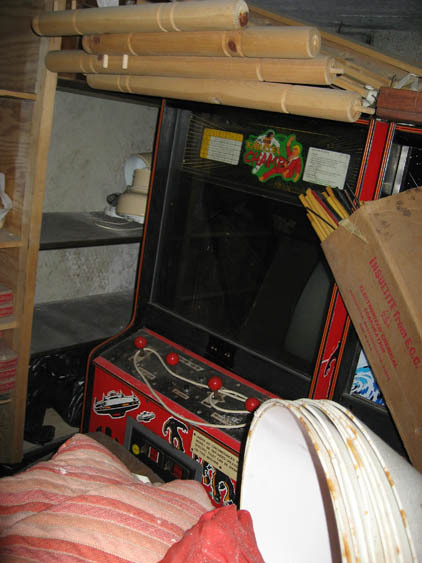 We talked, I helped him with various tasks, and he let me look at his arcade related items from the past. 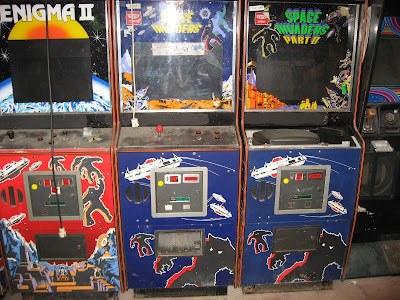 I also ended up striking a deal to purchase Robotron and a Space Invaders cabinet. Part of the deal was that I had to clear a path to the games, and that involved some serious tidying. 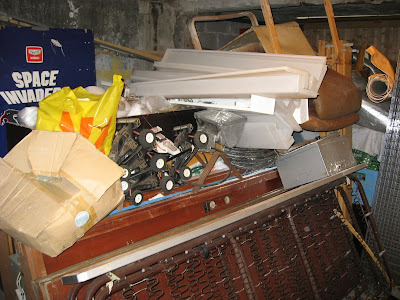 One Saturday in the beginning of June, I decided to tackle his garage and pick up the two cabinets. I brought a friend, and the two of us worked for several hours clearing out and sorting stuff. We were sweating like crazy and frankly very tired when we had finally dug our way to the cabinets. And there they were again, exactly as they had been when I last visited. 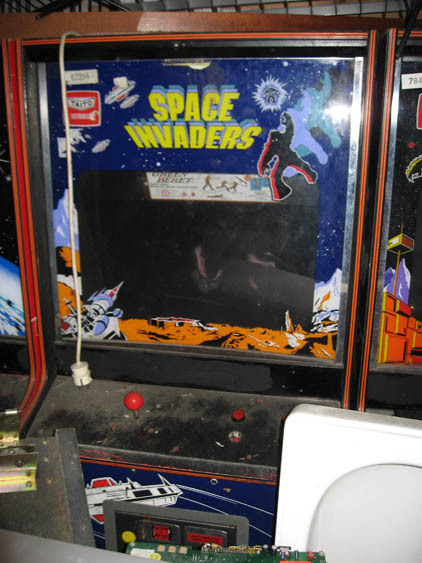 The operator didn't know if there was anything inside the Space Invaders cabinets, not even monitors. The control panels had obviously been hacked up, so I didn't expect them to be very original on the inside. 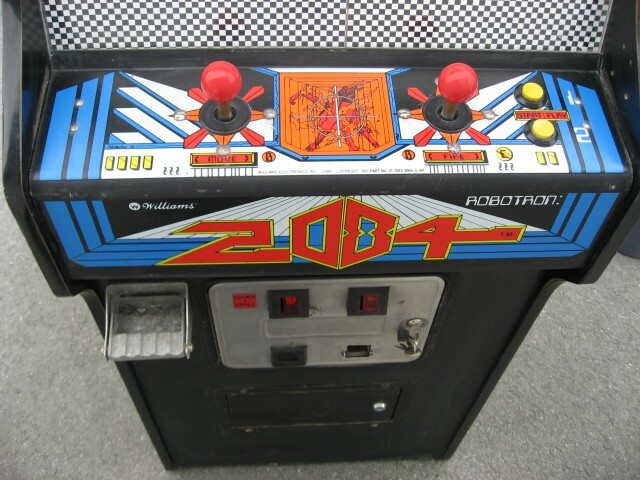 However, the Robotron was supposedly untouched, and was working when he put it to storage. Some rascal had broken the bezel, but that was the only part of it that wasn't original. I decided on a blue Space Invaders cabinet, and we hauled that and the Robotron into my friend's van. We had cleared a nice path to get in and out..
...but the other half of the garage was like before. Although I just picked up two cabinets, I was talking to the seller about also purchasing the rest. 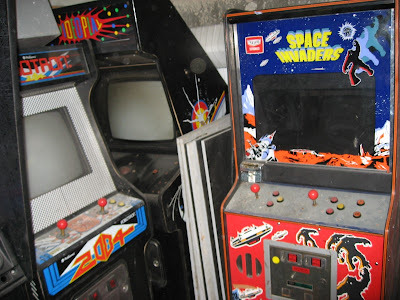 I could recognize a converted Asteroids (with a trackball and a terrible generic Videoplay marquee) and a Sega Turbo in OK condition, and I would also want a red Space Invaders II cabinet. Both my friend and I were too exhausted to think about it, though. And the air inside the garage was not comfortable. So much so that none of us wanted to stay there for long. 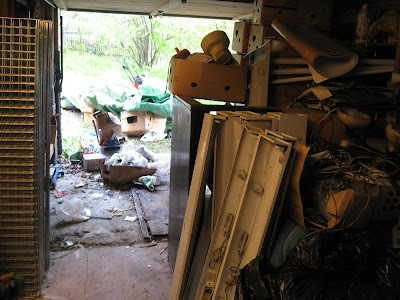 Besides, we had to tidy up and put back the stuff that was going back into the garage, and my friend's girlfriend was getting impatient waiting for him at home. It's a wonder how well the cabinets had survived the damp garage for 20 years, and temperature changes from -25 to +25 degrees. Absolutely no swelling! Here are a couple of pictures of Robotron, after a quick wash.
As I mentioned, I visited the seller numerous times. I would say about once a week. He told me that he had several hundred cabinets at the height of his operating career. He bought all of them from Ruffler and Deith in the UK. What happened to the rest of his games? 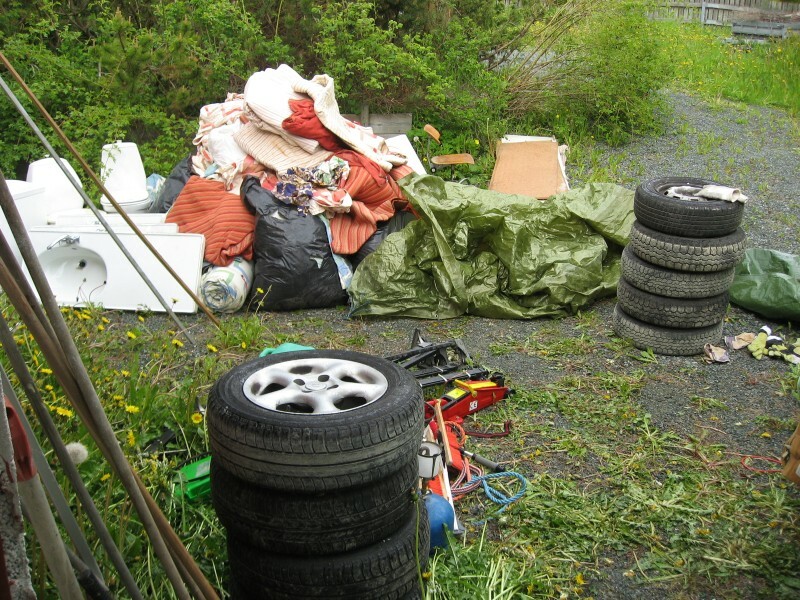 Many were trashed, and some even disappeared on location! He was happy with the build quality and sturdiness of the Space Invaders cabinets. At one point he was offered to purchase them for approximately 70 euros a piece. Of course he agreed, and he got a lot of them that he converted to use with other boards. 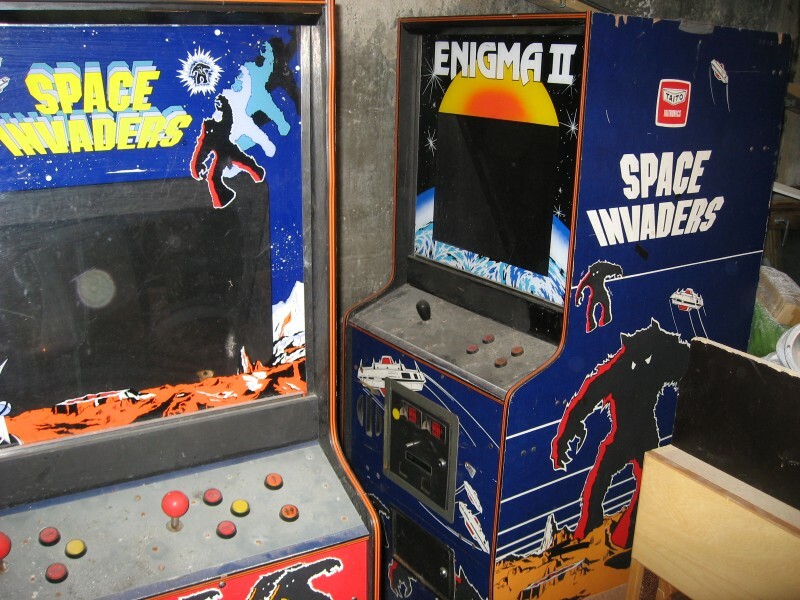 He expected the Space Invaders cabinets to be empty, but when he received them they were all complete! Sadly, he didn't remember what he had done with the original parts, and he was guessing that they all went into the trash. Robotron, on the other hand, cost him a lot. The amount he told me that he had paid for it is difficult to believe, as it matched the price of your average family car at the time! I guess that explains why he had kept it in good condition (and wasn't eager to let it go)! He had a little game arcade in the middle of town, and also a lot of cabinets placed in various locations in the district. It all came to an end in the early nineties, and some of his remaining games went into the garage. Back to 2012, the weeks passed quickly, and summer was coming to an end. One Sunday in late August, I decided to get the rest of the cabinets from his garage. I rented a huge hanger, and my wife agreed to help me haul the games. The hanger could only fit four cabinets laying down, so we had to go two times. We were both absolutely exhausted by the end of the night, and we weren't finished until bed time. But then I had all the cabinets safe in my garage! This is certainly the shortest road trip I've had so far, at least where I've picked up more than one single game. Less than 20 kilometers there and back again! The A to B on Google maps just looks like one point! I have decided to keep Robotron (of course), Asteroids, one blue and one red Space Invaders. One Space Invaders is going to the friend who helped me clear the garage, and two are going to Arch. 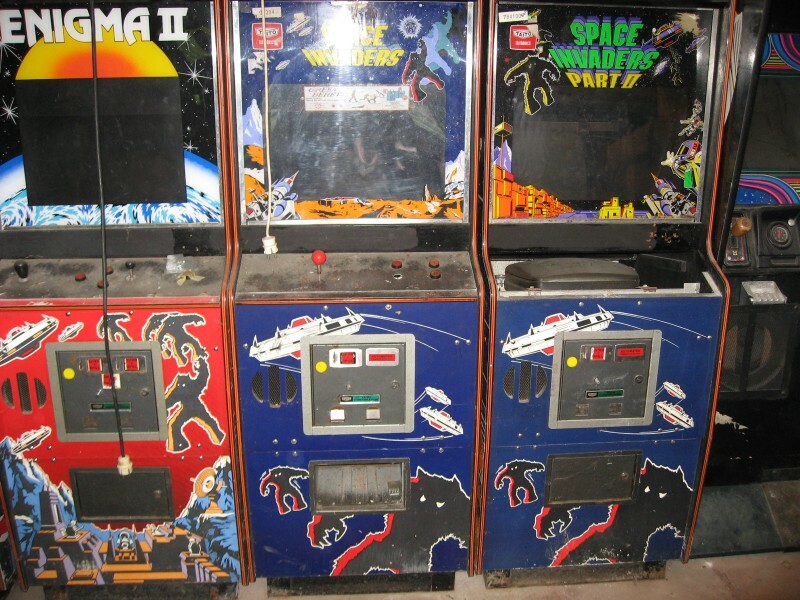 The two last ones (red Space Invaders and Turbo) will hopefully be sold to someone who has the will and skill to restore them. Road trips and arcade warehouses are officially my new favorite activities! It's just sad that there are so few of them. I hope you enjoyed this story as much as I did, and I hope there will be many more! Re: A very short road trip, with a great outcome! 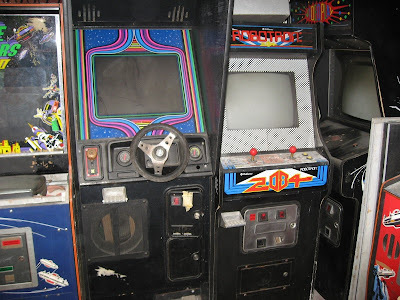 Totally Arcade Lifestyle story, the bug was in your head for years to get these cabs. 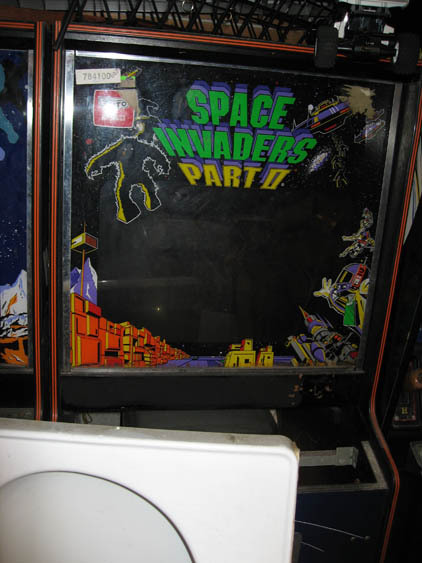 I really enjoyed every word of this story, it brings back good memories from the golden ages of the arcades. Excellent story and great catch !!! 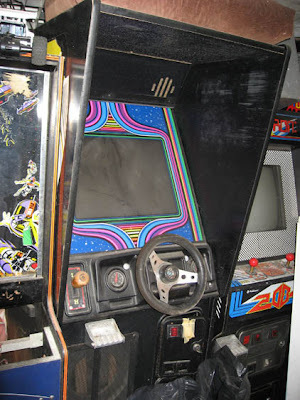 I wonder what they put in that SI cab with 4 joysticks ! 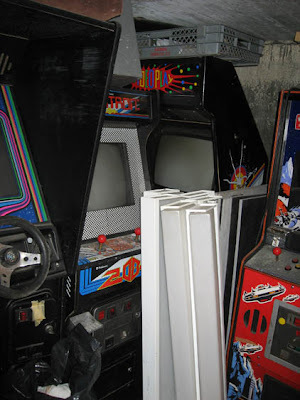 Great Arcade Life Style story! Thanks for sharing it with all these details. Wow, that 2084 looks absolutely fabulous! I'm jealous now!!! and even better there might be an Enigma II pcb in one of the Space Invaders. i need one! if there is, would you sell it to me? Great story and even greater games! Congratulations! Love: Of course I will! 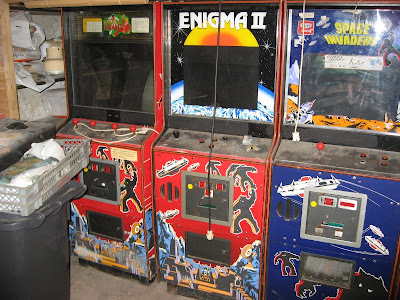 I suspect it's just a coincidence that they have Enigma II bezels, but I'll take a look. i've been looking forward to your report for a long time, mads, and you really DID deliver. fantastic job on getting all those games out of there, i wonder how many other places like that still exist where an old ex-operator is sitting on his cabinets thinking they are worth their weight in gold! That Robotron is very very nice. Completely original control panel, original sticks, original buttons. Bezel is an underlay which would be applied to a clear Perspex sheet. Shoot me a PM if you'd like to make me an offer for it. Great story, and what a wonderful catch. I enjoyed reading every word, and it shows that even today, hobby related wonders can happen in Europe. I adore this kind of stories too. One of the best side of the hobby imho, thanks for all the details, it's a perfect story before bedtime... and it even includes 2 of my personal favourite characters: the Taito SI and Asteroids. Also great that you kept on visiting the operator to help. Wow, congrats for that great catch! !